c 2008, steel painted, 10m.hi. x 2m.w. 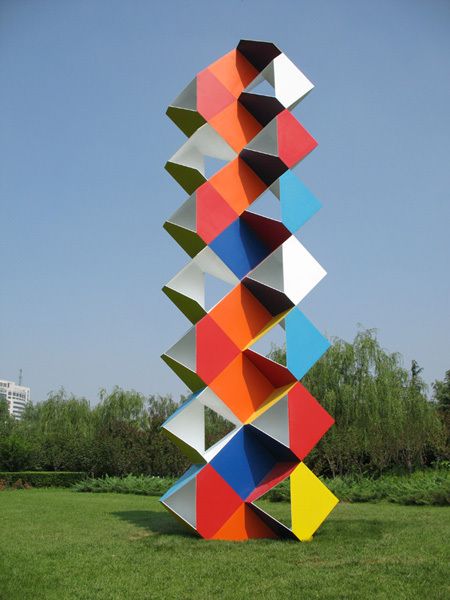 x 1m.d., commissioned for the 2008 Beijing Olympics; installed near the Olympic Beach Vollyball courts in Chaoyang Park, in the northwest quadrant, Beijing, China. constructed at the MaoYiDong Sculture Factory outside Beijing.